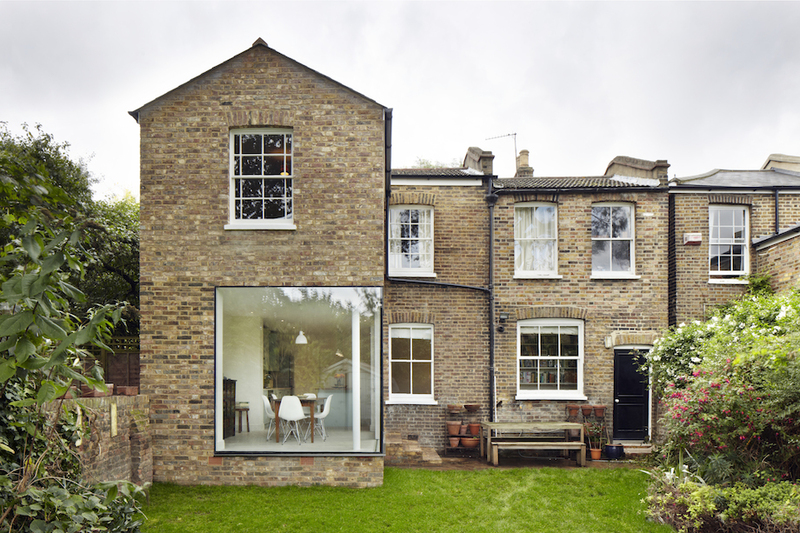 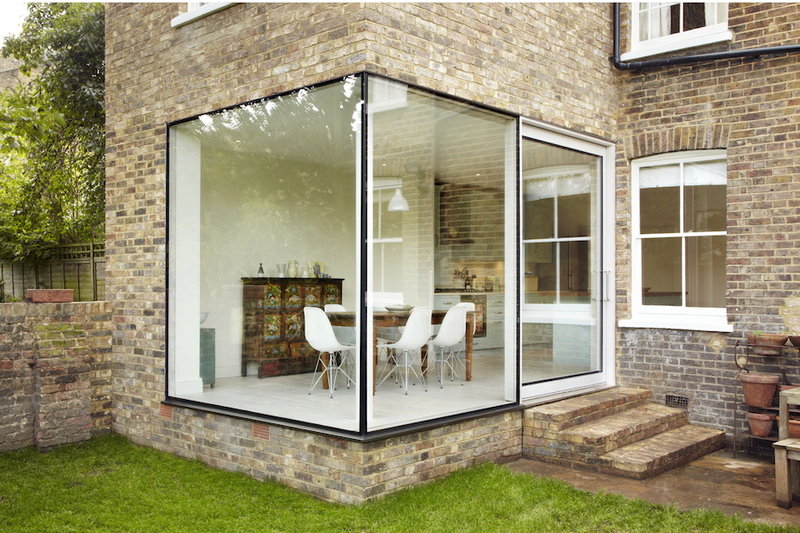 Cousins & Cousins Architects transformed a Victorian home in East London, creating an addition that is inconspicuous and trans-formative. 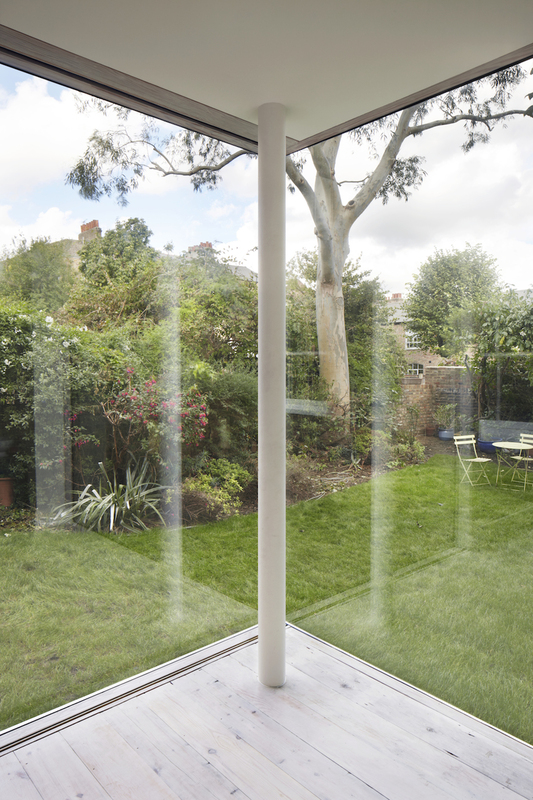 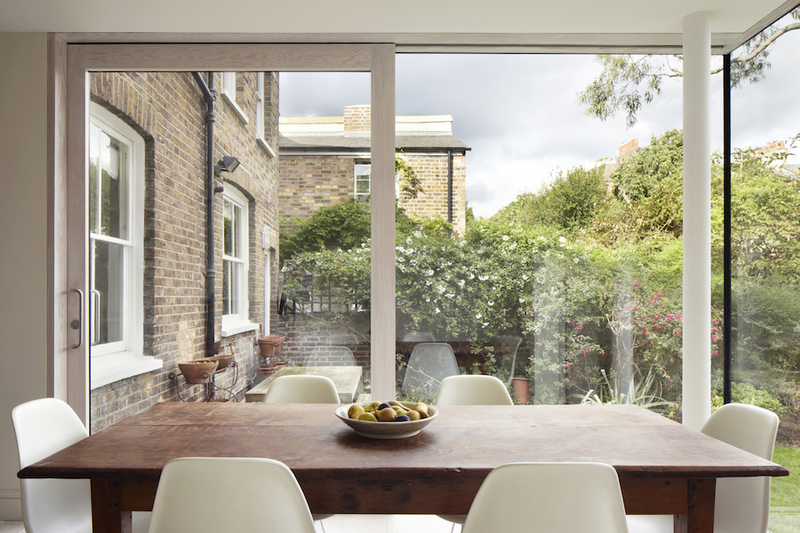 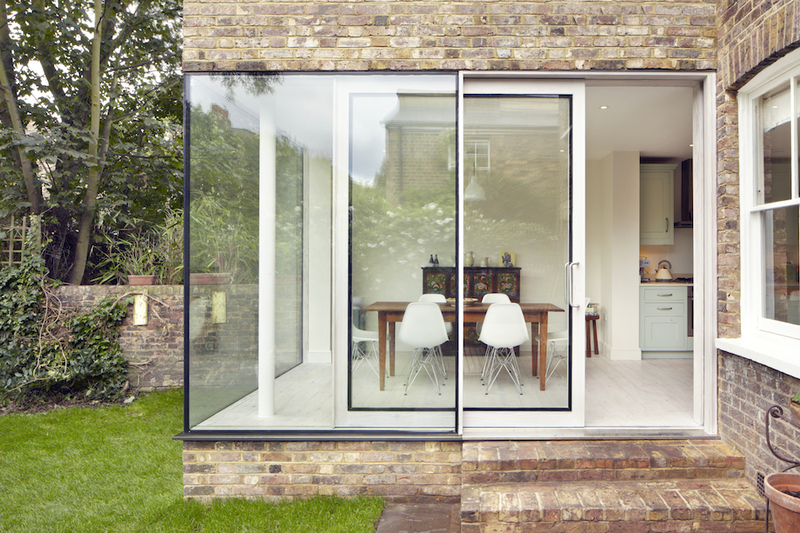 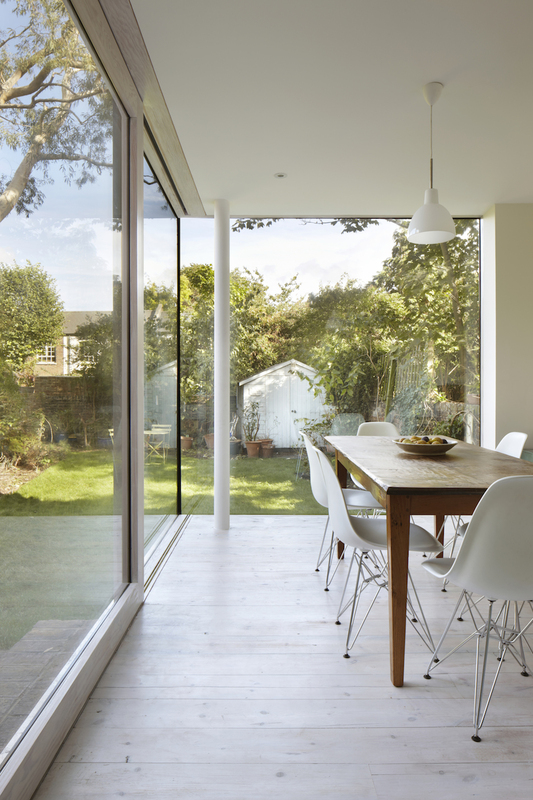 The extension houses a dining room on its first floor and a bedroom on its second. 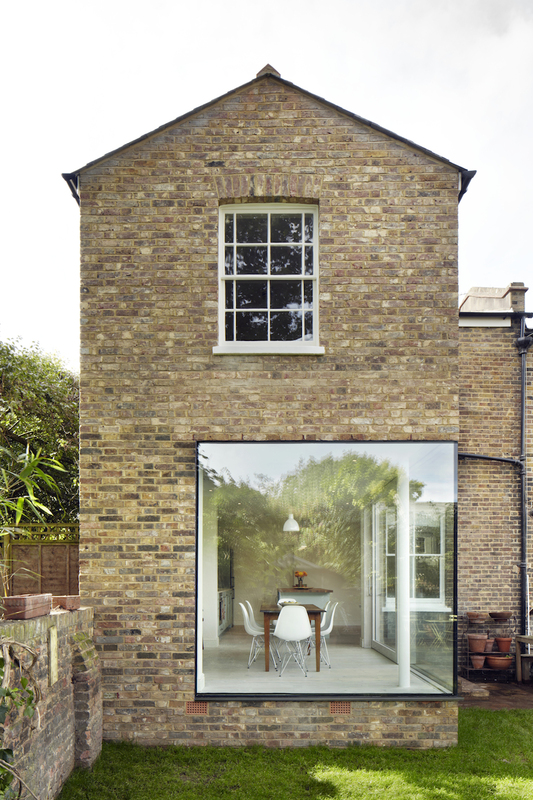 It uses bricks and windows re-purposed from an earlier demolition. 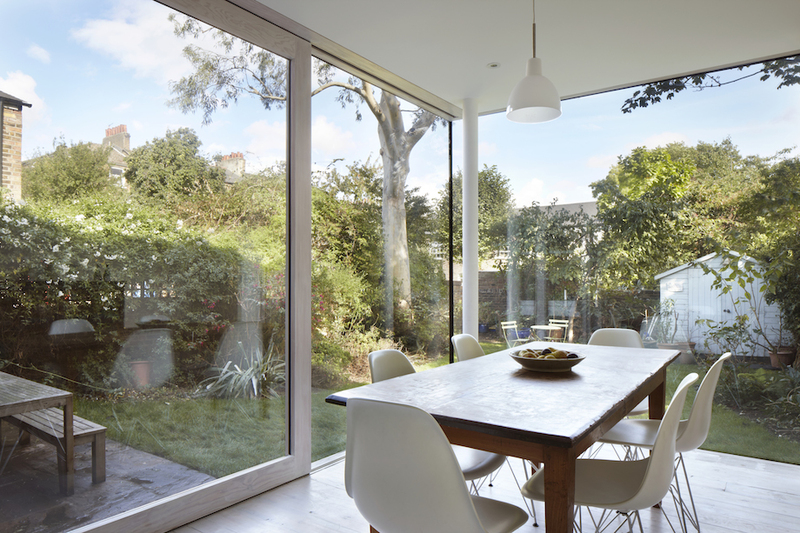 The dining room features two floor-to-ceiling glass walls, opening the space towards the lush green garden while light streams into the reconfigured kitchen-dining area.